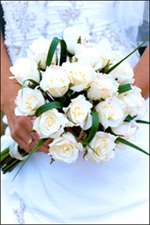 Elijah's Catering is a dedicated team of professional caterers and event coordinators from San Diego, California. Our devoted staff share a commitment to excellence and has proudly catered to the Southern California area for the last fifteen years, serving parties for all occasions and sizes. Our staff has catered over 1,000 events and always makes sure that every event is an affair to remember. 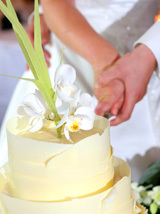 No matter what the requirements are, Elijah's Catering is right for your wedding in Southern California. 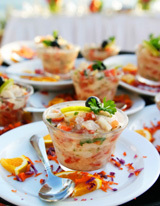 Elijah's Catering is a preferred caterer at most local synagogues, hotels and museums in San Diego. Call us today for a quote: (858) 353-5528. Elijah's Catering will not only provide all the catering services, but also can help you with the any additional services, such as music, flowers, rentals and invitations. We are the only company that you will have to work with. If you have any questions call our catering direct line: (858) 353-5528.